Mrs. Malahat Awan is an experienced and successful corporate affairs specialist, with twenty two years of management experience. She holds a Masters in Economics from Quaid-e-Azam University, Islamabad. Before joining the IBA, she was associated with British Deputy High Commission, Karachi as Head of Corporate Affairs. She has also served in the British Council, UNDP and Asian Development Bank. Malahat would be responsible for all administrative functions of the office of the Alumni Affairs, Job Placement, External Relations and Resource Mobilization. Mr. Haris Siddiqui carries a cross industry experience of Sales & Marketing of more than a decade in Media, Education and Insurance Industry. He has worked for GEO TV, the IBA Karachi and Jubilee Life Insurance in various capacities and is a contributor to national dailies. Mr. Syed Imtiaz Ali has a diverse experience of more than twenty years in administration, communications & public affairs, finance and human resources. He holds double master degrees in Economics and International Relations from Karachi University; post graduate diploma in Applied Information Technology from Hamdard University, ACMA professional-II from Institute of Cost and Management Accountants of Pakistan (ICMAP). He was associated with prestigious organizations like ABM Group of Companies, Citizens' Voice (NGO), International College of Computer Science (ICCS) and Hamdard University before joining the IBA. Ms. Mariam Khan holds a degree in Mass Communications from the University of Karachi. Before joining the IBA Karachi, she has worked for MAG the Weekly for a number of years. She is a freelance journalist, and United Nations Volunteer. Mr. Christopher Vaz holds a Master’s degree in Marketing and has a diverse experience of working in the Communications and Marketing industry. Prior to the IBA, he has been associated with prestigious institutions which include K-Electric, Lucky Cement and Marie Adelaide Leprosy Centre (MALC) in various internal communication and marketing capacities. Ms. Maryam Touheed holds degrees in Mass Communications and Media Sciences and has a diverse experience of working in the media and education industry. Prior to the IBA, she has been associated with Synergy Advertising and Connect Marketing Communications in various capacities. Ms. Mehar-un-Nisa is pursuing her M.Phil. in Mass Communications from the University of Karachi. 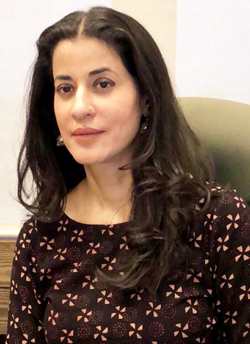 She has served as a Communications Executive at the Dawood Foundation and a Research Associate at the National Center for Maritime Policy Research (NCMPR), Bahria University, Karachi. She regularly contributes to various publications. 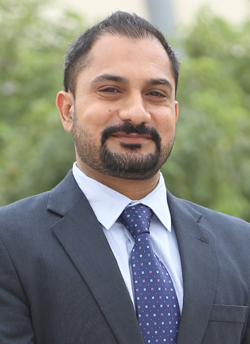 Mr. Ahsan Arif Ansari holds an MBA degree in Management Information Systems from the University of Sindh. Before joining the IBA Karachi, he has worked for Isra University, Hyderabad as an Associate in the Office of Research, Innovation and Commercialization. He has command on different softwares including; Adobe Illustrator, Adobe Photoshop, Adobe InDesign, Adobe After Effects and Adobe Premier.